It’s the biggest event in wrestling; it is wrestling fan’s Super Bowl. It is WrestleMania and it gets no bigger then this for the Wrestling world. This Sunday for the 27th time WrestleMania will air on Pay-Per-View and will assure us with some moments that will live on forever in wrestling history. With that being said lets look at the card and predict the outcomes for the biggest night in wrestling. This year’s WWE Championship Match isn’t your normal run of the mill Main Event Championship match we have been given the last couple of years. This Main Event is different in the fact that the WWE is elevating a new star (The Miz) with the biggest established star in the company (John Cena). This match reminds me a lot of what the WWE did at WrestleMania 21 with JBL vs. John Cena but it’s completely reversed roles as The Miz is already a WWE Champion, yet he still needs to become a huge star. Whether you like it or not, The Miz is going to be a big star in the WWE. 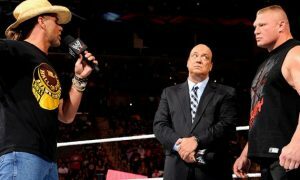 He has seen a huge push the last eight months and has been earmarked as a mega star in the WWE eyes. With that being said WrestleMania 27 needs to be his coming out party more then anything. John Cena does not need this win but that doesn’t mean he’s not going to get it. The Miz needs it the most to be taken seriously as a star in the WWE by the fans. The WWE needs to put The Miz over in the biggest stage in the business against their biggest star. If the WWE is committed to creating new stars then there is no better chance for this to happen then at WrestleMania 27 with The Miz. Let The Miz go over clean on John Cena and follow it up with a fan favorite moment where The Rock & Cena lay out The Miz to show their mutual respect. But there is no way what so ever that the WWE has Cena win the title over The Miz, if they do then the WWE has taken a giant step back at their biggest show of the year. The fans don’t even want to see Cena win the gold (unless you’re under 15 and a girl), they want The Miz to be taken seriously. It’s time the WWE starts working on its future NOW; like John Cena says in his entrance music “The Time is now” (for a change in the WWE). I really like this matchup on the WrestleMania 27 card and it’s kind of sad to see how it has taken a backseat to other matchups (Miz/Cena, Triple H/Undertaker & Cole/Lawler) on the card. It has been given the most build of any other matchup at WrestleMania and deserves a brighter spotlight. But that’s how the SmackDown brand has been treated since the brand extension in 2002. I think it’s pretty clear that this match is Alberto Del Rio‘s coming out party. I full expect Del Rio to be crowned the World Heavyweight Champion as he breaks through the glass ceiling of the WWE to become a megastar in the company. Del Rio has everything, the in-ring ability, the promo skills, etc. We haven’t seen this much talent rolled up into one wrestler since the early days of The Rock. Expect some sort of Christian heel turn to happen in this match. They have been building towards this for quite sometime and the fans want to see Edge vs. Christian one more time, especially after so many years of holding off interaction between the two. Christian is a better heel then a face anyway and will serve in a good role to antagonize Edge. Alberto Del Rio is going to be a huge star and I think will serve the Main Event role very well. He’s kind of gone under the radar since he is on the Smackdown brand, but will get his opportunity in the Georgia Dome this Sunday. It’s time for the era of Del Rio to begin in the WWE. Would it shock you if I told you I really don’t give a damn about this match? This match has zero hype behind it and very little care from many fans watching wrestling. Is it a dream matchup? Kind of, but it could have received a better buildup had they not done it a month ago. I don’t know if it’s because I was completely against this match from even happening or because I’m just not that interested in the match. The best thing about this buildup so far was the vignettes they have been running to hype the match. Anything they have done in the ring together has been underwhelming and far from giving me that WrestleMania big match feel. This is rumored right now to also be the Main Event match, which still does nothing for me as a Wrestling fan. It’s no holds barred and obviously Shawn Michaels is going to get involved somehow, in what capacity? Who knows, but expect this year’s Hall of Fame inductee to play some part in this match. The Heartbreak Kid will play some role in this match without a doubt. The streak will continue because if the WWE chose Triple H to end the streak there would be a TON of backlash. Triple H hasn’t always been the wrestling fan’s best friend and we all know how well he has it with the backstage area right now as he is waiting in Vince McMahon’s wings. If Triple H won Atlanta might actually riot. I fully expect “The Deadman” to get the “W” at WrestleMania 27. Out of all the matches at WrestleMania 27 this may be the best buildup of any match on the card. Del Rio/Edge is a close 2nd but it loses steam when it’s on the Smackdown brand. Cole/Lawler has been a huge proponent on the RAW brand the last couple of months and creative has done a great job making a match with two announcers in it seem so important. While I wish they put that same focus on other matches on the card, they have still done a pretty damn good job with this build up. Michael Cole may be the best heel in the WWE today and that is not good for the company. Cole has the ability to gain so much heat from the audience and make them really despise him. Which is something a good heel should do, evoke emotion out of the person in the arena or watching at home. If given the opportunity I believe Michael Cole could start a riot with the amount of hatred the fans have for him. This angle has been so good that they have re-packaged Jack Swagger and made him seem important again in the fans eyes after his World title run of a debacle. 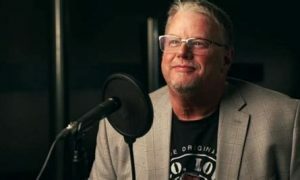 If there is anything good that comes out of this feud it will be the elevation of Jack Swagger, Jerry Lawler getting a WrestleMania match and hopefully Jim Ross back in the announcer’s booth. I don’t see any other way Cole could return as a legit announcer unless he does some amazing face turn the night after WrestleMania, at this point in time Michael Cole will serve better as a manager more then anything else. There is no question that Jerry Lawler will win this match at WrestleMania 27. He has been beaten down week after week by Cole verbally and Swagger physically. The fans want to see Lawler pound Cole and they will get their chance at WrestleMania. Look out for Stone Cold Stunners to Michael Cole and Jack Swagger in this one, I guarantee it. Finally Jerry Lawler gets his WrestleMania match and a well deserved spotlight! This is another match that I find pretty intriguing because it’s something we haven’t really seen before and it’s fresh, something that we don’t get too often in wrestling now days. Orton and Punk have even had a pretty good buildup to this match which is something wrestling fans like to see when they are using their hard earned money to buy an event as big as this one. I am looking really forward to this match come this Sunday. You know Orton & Punk are doing something right when they don’t need a title involved in this match to make it seem important. Instead it is just a well thought out and well planned feud with a match that will take place at the biggest event of the year. Whether or not you like both wrestlers you have to give them a ton of credit for the job they have done making this feud fun to watch on TV the last couple of weeks. Orton has lost a ton of steam lately as a face and has become an established wrestler serving in a background role. His role at ‘Mania may be one that helps CM Punk become a more believable mega star then he already is. Punk is the best heel in the squared circle today and could use this match to help him be at the top of the mountain in the company. I believe this is just the beginning of a big year for “the Straight Edge Superstar” in the WWE. This is the matchup that I believe could steal the show at WrestleMania 27. This could be the matchup that has the internet world buzzing and people excited to watch SmackDown that Friday. The matchup has had a “old school” buildup and is giving fans that “throwback” feel to how a feud should happen. Both wrestlers deserve a ton of credit for what they have accomplished in building towards this match. Cody Rhodes has had a “coming out party” in 2011 and is poised to be a huge star a year from now. I am frankly shocked at how well he has developed since last year’s WrestleMania as many people, including myself, saw Ted DiBiase being in the brighter spotlight out of the legacy group. Instead the roles have been reversed and Cody Rhodes has proven he is for real, in the ring & on the stick as well. It’s important for Cody Rhodes to work with such an established worker like Rey Mysterio at WrestleMania. Out of all the wrestlers on the current WWE roster it’s The Undertaker, Triple H, Edge, Christian and Rey Mysterio who have the most veteran leadership out of any other wrestler. It tells you how much of a future Cody Rhodes has in the WWE that Rey Mysterio has reportedly hand picked the superstar for this match. Similar too many other matches on the card involved new/younger stars in the WWE; the company needs to give Cody Rhodes the victory at ‘Mania. Cody Rhodes has proven to me that he has “it” and can be a bright spot in the future of the WWE. I think Rey Mysterio realizes that as well and wants to help make the kid a star at the biggest show of the year, kudos to Mysterio for seeing something in a kid and wanting to make him better for the good of the business. Here is another case of the WWE giving the world of pop culture the opportunity to discuss WrestleMania the weeks leading up to it and the days after the show. You really can’t blame the WWE in that type of strategy as it helps get the WWE brand name out in the public eye. That’s what it’s all about and the reason why the WWE is giving Snooki money to do this match. I am not going into this expecting to see some sort of five star classic and neither should fans watching the PPV. Stratus, Morrison, McCool, Layla and Ziggler will most certainly deliver while Snooki will get her WrestleMania moment where she pins whoever in this match (most likely Ziggler since Vickie pinned Morrison a couple weeks ago on RAW). I’m just wondering if Snooki ends the match with some sort of hokey fist pump finisher, I hope not. To be honest I was quite surprised with how well Snooki did in her role as the RAW guest host a couple weeks ago. Either McCool & Layla made her look really good or she actually is trying to do well for this match because it came off pretty well on TV, which is hard to believe. I seriously can not believe I’m giving Snooki props in a wrestling blog. Thankfully one of, if not the greatest womens wrestler of our time returns to the ring this Sunday as Trish Stratus continues to lace em up for the WWE. It should be a decent match and one that could actually surprise as there are at least five workers who will give it their best on Sunday. I think we know what the end result will be because the WWE needs that photo of Snooki’s hand being raised on all the tabloid shows the following Monday. Prediction: Trish Stratus, Snooki & John Morrison. 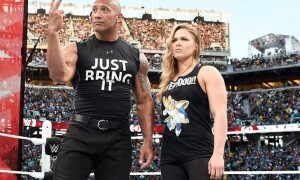 Thank you to the WWE for putting these two wrestlers on the WrestleMania card and against one another. Sheamus and Daniel Bryan have been good workers throughout the year in the WWE & deserve the WrestleMania spotlight. This match is exciting to me as a wrestling fan because I believe that one day this very well could be a WrestleMania main event match. Sure Sheamus has been buried in recent months and Daniel Bryan hasn’t been focused on all that much since its WrestleMania time & he’s gotten lost in the shuffle, but none the less these guys are future flag barriers for this company as it marches into another chapter of the WWE. What makes this match even more fun is the fact that the United States Championship will actually be defended at WrestleMania. I enjoy mid-card title matches at WrestleMania’s (Savage/Steamboat, Michaels/Ramon) because they always seem to deliver and I hope with the ample amount of time these two guys can steal the show to prove how much they are worth in the future of the WWE. This match is getting me excited as a wrestling fan because I hope this serves its purpose as helping launch these two in another level for the rest of 2011. I really enjoy what they bring to the table as wrestlers (despite what you may think Kevin Dunn) and it brings hope to wrestling fans like me who want to see something different finally. I really think this would be a great opener for WrestleMania if I was booking the event (despite reports I am not). The victor in this match is a toss up because they both could use the win to be honest. I want to see Daniel Bryan win but wouldn’t mind if Bryan puts on a show while Sheamus gets the victory. But I don’t feel like that is the way the WWE will go this Sunday and I think “The American Dragon” will get the “W” in his WrestleMania debut. What does a throw away put together match look like? Look above at the final announced WrestleMania match for this Sunday. The only good thing that has come out of this is the well deserved Wade Barrett will be on the card, while it’s not the match many fans wanted (vs. The Undertaker), he at least will get his well deserved WrestleMania spotlight after an awesome first year in the WWE. One thing that stands out to me immediately is what the hell Kofi Kingston did to not be on this year’s WrestleMania. Who has he pissed off in the back to not only lose the Intercontinental Championship to Wade Barrett but to not be even featured in this match? He at least has a history with The Corre more then Santino & Kozlove has. It’s a little mindboggling to me, but so has many things the creative team has done going into this year’s WrestleMania. You see this match with the way it was built up and you wonder why the WWE didn’t go with delivering the “Money in the Bank” match for this year or at least give us Wade Barrett vs. Kofi Kingston for the Intercontinental title at ‘Mania. It’s something that will leave me head scratching for most of WrestleMania week but so it is. The Corre vs. Four other wrestlers will happen this Sunday on the biggest show of the year. I’m not expecting much from this match and expect The Corre to win this Sunday in the Georgia Dome. If the WWE wants The Corre to be a force then they have to defeat this team of thrown together wrestlers to make it happen. Like I said before the best part of this match is that deserving wrestlers who have worked pretty hard this year (Barrett, Slater & Gabriel) get their spot light in the WrestleMania sun. Have fun this Sunday as WrestleMania 27 hits the airwaves live on PPV! I’ll be blogging next week about my WrestleMania 27 thoughts! What do you think of my WrestleMania 27 preview & predictions? Tell us your thoughts on “The Still Real to Us Show” by e-mailing us over at [email protected]! Then download the show on Thursday March 31st at www.wheelhouseradio.com or www.wrestlechat.net.